I like this stamp set for lots of reasons, 1) it has a sentiment, 2) it has images that can be used together or separately, 3) it can be used for both cards and scrapbook pages, 4) the price - only $6.95! Here you see a card I've made but this could easily be used on a scrapbook page in place of a photo on your layout. 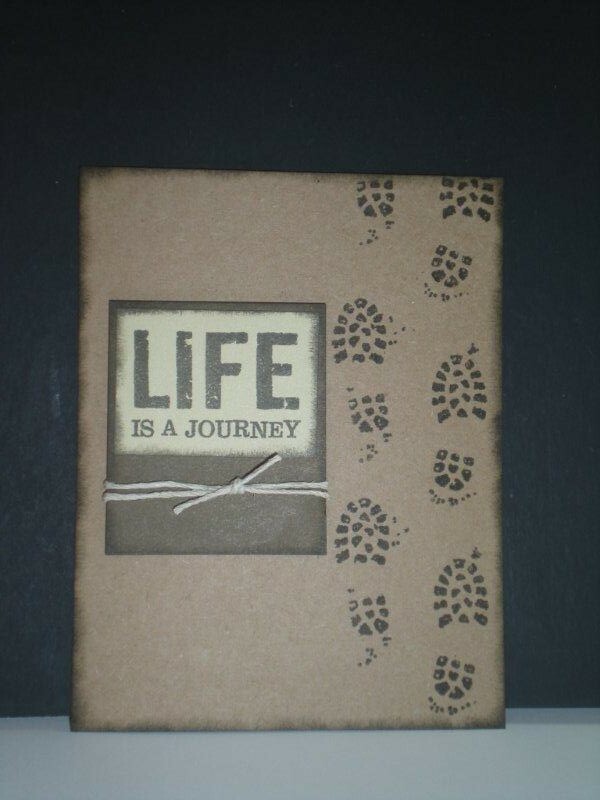 The footprint stamps can also be used as a border on a scrapbook page. The pine trees could be used on a holiday card, as a border, or a stamped element on a scrapbook page.